By: Dwain E. Zagrocki, D.V.M. It was a bright, warm spring day. I was just finishing an out call at the home of Mrs. Jan Smith. Her Yorkie, Sammy and her Siamese, Whisky had passed their yearly exams and had received their appropriate vaccinations with flying colors. I asked Jan if she had any questions and she said just one, but it had nothing to do with Sammy or Whisky. She said that she and Ted, her husband were contemplating purchasing a horse for their daughter Angela and she wanted to know if I thought that was a good idea. Questions posed to me in this manner usually mean that there is a significant family discussion going on concerning the particular animal in question. Two parties, usually husband and wife, have distinctly opposite views on the subject and I have been granted the privilege, whether I want it or not, to be the “official tiebreaker”. After a moment of consideration, I told Jan that I thought horse ownership was a great idea. After all, my wife, Laura, and I greatly enjoy our two horses Missy and Shiloh (just as we enjoy the companionship of our four cats, one parrot, four dogs and three goldfish). However, I felt it was important for Jan to ask herself, “is horse ownership feasible for our family”? Jan seemed puzzled and asked “what is so complicated about owning a horse”? I immediately knew my out call had just become way more involved. I told Jan that horse ownership, like any companion animal ownership, can be very rewarding, but there are ten questions that all prospective horse owners should answer before deciding to own a horse. 1. Do we have the facility and husbandry knowledge to own a horse? 2. What is the experience level of all the people who will be around the horse? 3. Do we have the financial capability to own a horse? 4. Should we have our new horse insured? 6. Have we chosen a veterinarian for our new horse? 7. Has a Ferrier been chosen? 8. Do we have a medical and, where applicable, a breeding history on the horse? 9. How long do we intend to own this horse? 10. Do we wish to have a horse that we can use for breeding? So I said, “if you can answer these questions and feel satisfied, you will then be ready to buy that new horse”. Jan sat back and said, “I didn’t know it was such an ordeal”. I let her know it was not really that complicated. It might involve a little homework and some family discussion, but I assured Jan that by putting the horse before the cart and not after (excuse the pun), she could greatly decrease the possibility of future complications. Jan had a little more time and I was happy to define those ten questions a bit further for her. 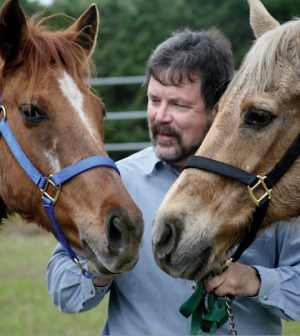 A person thinking of horse ownership should have a basic understanding of equine husbandry. This includes feeding and vaccination requirements such as parasite prevention, hoof care, and where applicable, G.I. (sand accumulation prevention). A horse owner should also be aware of local ordinances that may influence where a horse can be stabled and the availability of riding and exercise areas. Education and knowledge; a person considering a new horse must honestly evaluate not only their abilities, but also the equine experience of others who will be around this new member of the family. We must not forget the horses education and knowledge. Is your new, one thousand pound friend educated and well mannered, or is he or she a “rebel without a cause”? A perspective horse owner should review the costs associated with horse ownership. These costs include, but are not limited to: feeding costs, housing (initial building costs, maintenance expenditures, and possible boarding costs), health expenses (veterinarian, Ferrier, and possible equine dental and chiropractic expenses). Training expenditures for both the horse and person(s) may also be applicable. 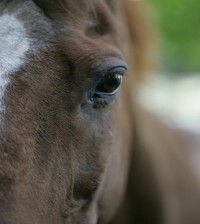 When considering insurance, a potential owner may wish to consult their veterinarian and other horse owners. 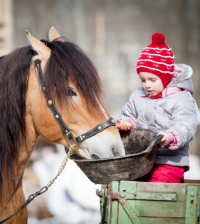 Equine insurance comes in two basic forms, health insurance and mortality insurance. Consideration to insure a horse is based on the value of the horse and the desire of an owner to pursue more advanced treatment if it is needed for an accident or illness. Much can be learned about various policies and insurers by researching the topic on the Internet. Most horses that are undergoing transfer of ownership should have a veterinarian pre-purchase examination. Note that some veterinarians may refuse to do them because of the potential liability. The purpose of this exam should be discussed with your veterinarian before the purchase process is undertaken. The specific exam itself can vary greatly from one veterinarian to another. As for myself, I believe a pre-purchase exam is not a guarantee of health or performance. It is a written opinion, based on a thorough examination, that the horse being sold is suitable for the intent of the buyer. The choice of a veterinarian should be determined by their expertise, experience and their ability to communicate with you, his or her fees, and the doctors availability. 1. A horse intended for specific performance ability, i.e. : hunter / jumper or dressage should have a doctor who has knowledge of how the demand for those skills affect the horses’ health. 2. Professional fees and how a veterinarian communicates with you can vary from one doctor to another. 3. 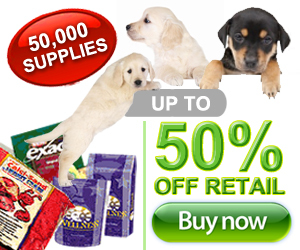 Availability is a very important factor that many people overlook in picking their family’s pet physician. A doctor who is too busy or unwilling to respond to medical needs in a timely fashion, regardless of what skills he or she possesses may be of little value to you and your horse especially in times of emergency. A Ferrier should be chosen based on the same criteria used to choose the veterinarian; expertise, experience, communication skills, fees and availability. Medical, husbandry and when applicable, breeding histories are essential to obtain when purchasing a new horse. The medical records should include names and possible addresses of past owners and more importantly the approximate lengths of ownership. A horse that has been repetitively sold may have a medical condition that is not apparent. Ferrier and dental records should be obtainable. Husbandry records should include feeding, parasite and sand control histories. The intended length of ownership is an important factor often overlooked by many soon to be horse owners. A horse can easily have a life span of twenty to thirty years. A horse whose rider has gone off to college or is no longer able to be used for its intended purpose may become an expensive “lawn ornament”. This is not bad in itself except that many times the animals placed in this position start getting treated more like the lawn chairs instead of loved members of the family. If your new horse has been sought for its breeding potential, the previous nine considerations become even more important. However, this endeavor should not be attempted without having acquired advance knowledge in the subject of “Equine Reproduction, Breeding and Weanling Care”. Once again, I said to Jan “If you can satisfactorily answer those ten questions, I think horse ownership will be a great idea for you and your family. Heck, who would not want to add a thousand pounds of joy, excitement, companionship and love to their family?” As I loaded my truck, Jan thanked me and said she had no additional questions. I told her to call me if any further questions or concerns were to arise. As I drove away, I chuckled to myself and wondered if the “tie breaker” worked and if so, who won the game? Diabetes in dogs and cats is also on the rise! OMNIS HEALTH INTRODUCES GLUCOPAW™ DIABETES TESTING SYSTEM DESIGNED ESPECIALLY FOR CATS AND DOGS. These days, fewer airlines are willing to accept certain breeds, and getting your pet from one part of the world to another can be pricey. My Neighbor Took a City Pigeon as a Pet. Is That Legal? To help pet owners make decisions about end of life care, a veterinarian developed a decision tool based on seven indicators. We Will Be Right Back ……….. You’re Going To Love It!!! !